Some people avoid violent films, while others watch little else. Professional movie reviewers, who may see hundreds of films annually, cannot afford to be so picky. If you are covering the Cannes Film Festival competition, as I did one year for the Screen International daily critics’ poll, you cannot blow off a film on grounds of genre (“I hate action movies!”), sexual politics (“The director is a misogynist!”) or body count (“A dozen dead in the trailer alone!”). In fact, the best films at Cannes or elsewhere often challenge, shock and disturb. If, as a critic, you can’t handle that, you should find another line of work. But as much as we claim to be hardened types who can take anything the screen throws at us, we critics are people too. We may not write about the death of our dogs or the breakup of our marriages or any other personal turmoil in our reviews, but there are inevitably echoes — or silences. If I had been commissioned to cover the film at a festival, though, I would have reviewed it — while feeling that the 40-minute climax, in which the hero gleefully blasts frightened junior high kids into oblivion, one by one, was repulsive. Was Miike entirely to blame for that reaction? No, since it was influenced by an incident with no direct relationship to his film. Was he entirely innocent? No, since his obvious aim was exploitation. That, I hoped, would be a rare case. After all, I had written a book on yakuza movies — not the most pacifistic of genres — and agreed with one of their makers, Kinji Fukasaku, when he told me that “Violence is a pillar of filmmaking.” I did not want to head for the exits, mentally or physically, every time blood spilled on the screen. And then my own blood spilled. Walking to a hotel near Rome’s Termini Station on the night of April 28, I was assaulted by two men. One second I was checking a building number, the next I was being punched in the face again and again, with relentless speed and force. The assailant, who had spiky blonde hair and was a head taller than me, gashed my forehead, broke my nose, broke or chipped five of my teeth and dislocated my jaw. His partner choked me unconscious, leaving a large hematoma on my throat, and grabbed my suitcase, computer bag and wallet, ripping my back pocket to shreds in the process. But all I remember, after the punches began falling, is somehow breaking free and reeling down the street like a drunk, with blood streaming over my face, jacket and shirt. On the corner I found an outdoor cafe where the kind Middle-Eastern-looking manager swabbed my face with a towel and called the police. They arrived in less than five minutes, with an ambulance, but the assailants were gone. Fortunately, I still had my passport, camera and cellphone, though nearly everything else of value had been stolen. After a three-hour wait in the emergency room of Rome’s largest hospital, I had stitches put in my forehead, nose and scalp and then dozed in a chair until morning without further treatment. When my wife, who had just arrived from Japan, saw me in the ER, with my puffy, battered face and still wearing my blood-encrusted clothes, she looked as shocked as I had ever seen her — and I realized how badly I had been beaten. (The ER had no mirrors, even in the toilets.) I spent a total of six days in the hospital and, a month later, am recovering from my injuries, but at least know that I can still read, write and think. So what do I think about violence in films now? One friend jokingly compared my experience to a boxing match. It was nothing like a sport with gloves, a referee and a bell. It was a brutal assault with no rules or limits, save maybe murder. It was also like no movie that I had ever seen, though the police told me that the method — hit and grab — was not uncommon. In the hospital I gained a new appreciation of Takeshi Kitano, who grew up in a tough Tokyo neighborhood and once told me that real-life street fights were brief. “One punch and it’s over,” he said. The many scenes in his films of one guy, usually played by Kitano himself, working over another now made more sense. I had once thought them stylized ego trips for their director; they now struck me as simple realism. 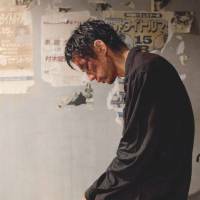 On the other hand, Iranian director Amir Naderi’s Japan-made “Cut,” whose masochistic hero (Hidetoshi Nishijima) allows himself to be hit in the face by gangsters for hours on end as a money-making ploy, now seemed like a puerile fantasy. When you’re a kid, you might imagine yourself heroically taking blow after blow from a gang of foes, but for this adult a smashed-in face and a blacked-out mind were reality checks. I didn’t spring back, ready for more; I just wanted it to stop. Finally, researching this article, I found that nearly all the debate about violence in films revolves around whether on-screen mayhem encourages susceptible viewers to commit the real thing. What about the effect on the millions of victims of everything from domestic abuse to foreign wars? I suppose they’re just expected to change the channel or buy a different theater ticket. Can I, after a street mugging that half killed me, still stand to watch on-screen beatings of the realistic sort? The ultimate test will probably be the work of Quentin Tarantino, who has called violence in films “cool” but claims to hate it in real life. “When violence enters our world,” he once told the Orlando Sentinel, “it kind of just rears its ugly head and we are not prepared for it.” His example was a man slapping his wife in a restaurant, jolting the other customers including, I guess, Tarantino.